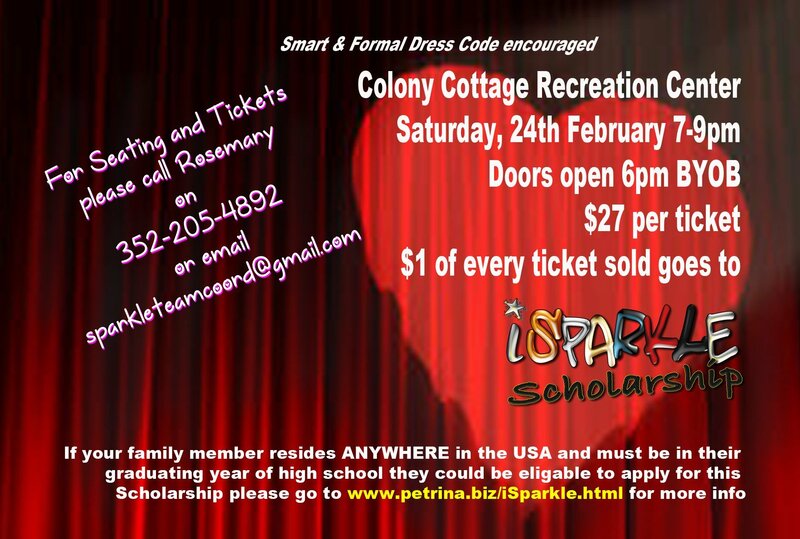 One of our club members is having a show at Colony Cottage Rec Center on February 24th. 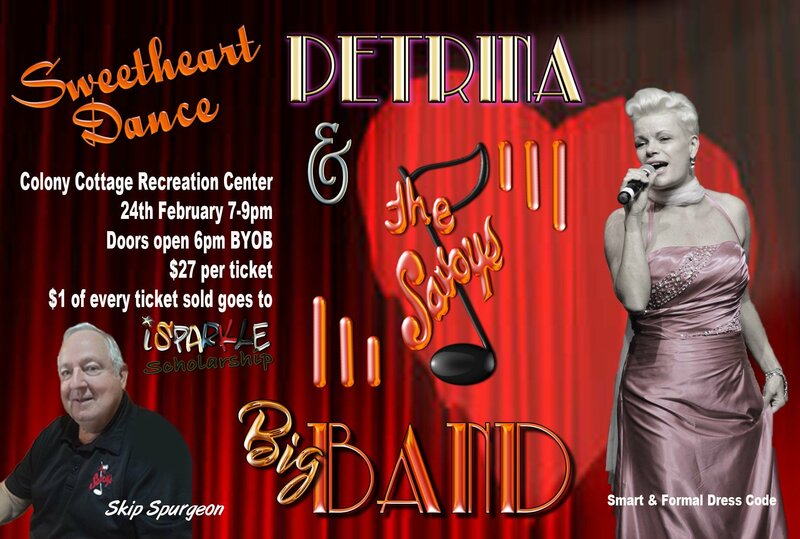 Petrina will be performing with The Savoys providing Big Band songs and Dance for everyone. Please see below for information on tickets. 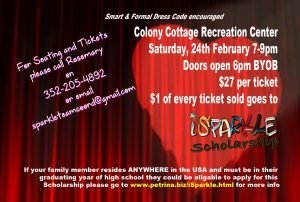 You will need to purchase tickets individually, but can sign up to see what other club members will be attending. You will need to purchase tickets individually for this event.